Since my word for the year is RESTORE, I’m taking each month to focus on godly restoration in different areas of my life. Read last month’s post to see six areas of life to restore! January was all about restoring my personal health! February, my focus is how I can restore a faithful prayer life as a mom. I decided to focus on rest and physical movement in January. I know, these seem diametrically opposed, and some people might be saying “start with the spiritual!” But over the past few years little rest and dwindling exercise meant days I fell asleep praying or reading my Bible, and a foggy brain that couldn’t always focus on God’s message. So. Restoring health seemed like a good place to start! In January, I read Lysa Terkeurst’s book The Best Yes. I tend to say “yes” a bit heedlessly, in the excitement of the moment. What can I say? I am a doer and love to be involved! When the time comes to DO those things, I find I’ve committed to the work of multiple “Julies,” and I come crashing down (my hubby usually bails me out!). Honestly, my stress levels last year were so obviously trying to remind me that I am not five different people!! Saying yes to everything isn’t a sustainable practice. And I certainly wasn’t involving God in every aspect of my life by doing so. Bible reading – I’m on a new 5-day-a-week plan I’ll write about later! Exercise – I worked out at least 15 out of 31 days! That might be 12 more days than all last year! Earlier bedtimes – dubious success, but more bedtimes BEFORE midnight than after! Homeschooling – I said no to things that were interrupting our school days. Sunday School teaching – we painted our Sunday School room and added some creativity to the curriculum. And… you see, my to-do list is already long and doesn’t even include family get togethers, housework, and day-to-day errands! Creating a balance of getting rest and exercise was so helpful. I’m glad I said no in January, even though I felt bad we couldn’t make every playdate, or every fellowship. I left January feeling a deep sense of relief and fulfillment. Relief: I could actually say no. Fulfillment: accomplishing some goals even short-term. Being less busy and getting more rest gave me clarity to focus on what God wants for me. 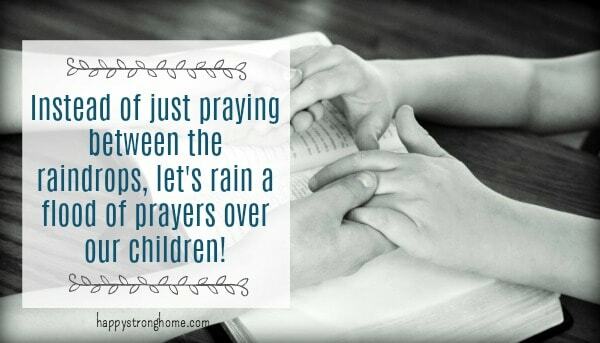 One of those things is to restore a faithful prayer life, as a mom praying for my kids. I mean, we all know prayer is important. If not THE most important thing we can do for our kids. So why does prayer often get pushed down the list? When did prayer become an if-I-have-time task, or minimized to I-can-pray-at-the-stoplights (although that’s not a bad idea). I decided I don’t want to just pray for my sons between the raindrops, but rain a flood of prayers over my sons. Mid-January, I was invited to write a devotional for The MOB Society’s My Book of Prayer, Spring Edition. I wrote on having the right view of God, which was a wonderful study for me, and I am excited to share the thoughts God gave me! So… I’m pretty excited to be included in a published book, of course, but I’m more excited about how using My Book of Prayer will help me develop my prayer life! Write down prayer requests to see God’s answers in a tangible way. Writing out requests and answers gives us a visual of God’s working in our life. Praying for our kids is a slow process; answers come gradually, or after many years. We prayed for our son’s temper tantrums years ago… eventually they faded away as he grew… it happened so gradually I nearly forgot we’d been praying for that very thing! Now we have other development hurdles we pray for, and I’m going to write down each time God helps our little boys overcome challenges. Read scriptures about praying. I love to read the prayers of people in the Bible, as it teaches me so much about how frankly and openly we can approach God in prayer. And, how specifically and meaningfully people prayed. Get a prayer partner to encourage faithfulness, and to pray with us for our children and family. I don’t have this person just yet. So I’m excited to use the weekly devotionals from My Book of Prayer as a sort of “virtual” prayer partner. Every week starts with a devotional (like mine!). As I read each mom’s devotional I’ll imagine I’m having a heart-to-heart conversation with that mom about praying for our kids! Our youngest son came to me in tears one night. “Mommy!” he cried, “I’m afraid God won’t let me into heaven!” When asked why, he explained the disciples said children can’t go to Jesus. Apparently, he’d only heard the first half of the story about Jesus and the little children. I hugged my boy close and gratefully shared the other half of the story, where Jesus welcomes the children to come to Him. (Mark 10:14). I thought about how often, like the disciples, like my son, I’ve had the wrong view of God. I’ve viewed God as “too busy” for my little troubles. As a “gotcha God” waiting for me to trip up. As demanding, exacting, or aloof. None of these views of God bear out in Scripture! Time and again, God tells of His long-suffering, His desire to draw near, His graciousness and forgiveness. Jesus corrects the disciples distorted view with loving words and actions, drawing the children close. Just so, God corrects my view of Him by drawing my eye to the stories of His relationships with people in the Bible. …READ THE REST in the book! My Book of Prayer is a wonderful resource to help moms develop a faithful prayer life because it provides all the resources for developing a prayer life I suggested above! It’s part devotional, part journal, with daily and weekly prayer prompts plus space to write and record your prayer life. It’s going to be such a blessing to use this book as a prayer resource, and look back to see God working! 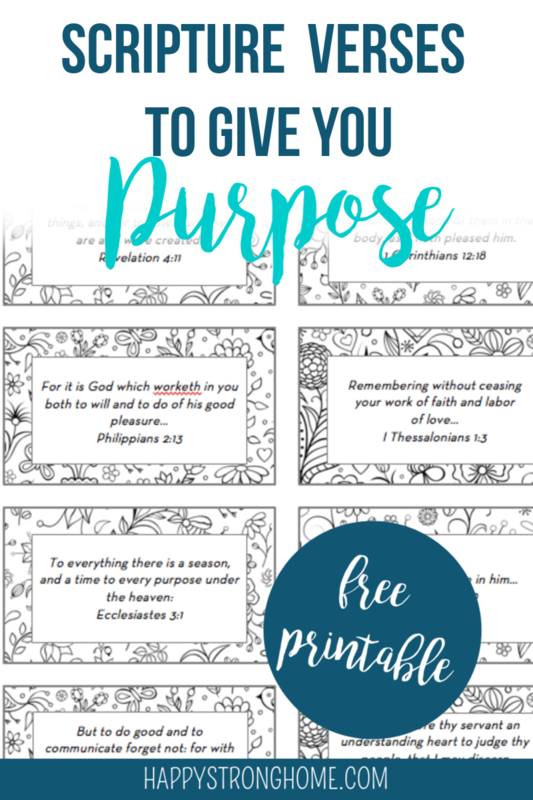 Click here to preorder My Book of Prayer as a resource to restore a faithful prayer life for yourself as a mom, or gift a book to a mom you know! Preorders are only until February 5, 2018, so get yours reserved today! I’ll be praying for you, moms, as I read this book. Please share how you pray for your kids, and what keeps you going in your prayer walk!